Modern landscaping is not a trivial task. It takes planning and a fair amount of detail in the execution. In most cases, environmental compliance has to be maintained for the resulting trash and debris disposal. If you need a company that can work on these jobs fast and efficient, Unlimited Landscape Hawaii is the company to call. Our excavation and hauling services are an end-to-end solution for your landscaping needs. We can be of assistance to you during the various phases of your project. We can also assure you that excess soil and other materials are handled properly. For a large project, we can do this on a daily basis. Or, if that is not needed, we can also find a regular schedule to keep your landscaping site clean and free from clutter. Not all landscaping projects begin with idle land. In most instances, landscaping is done as a sub-project to a construction or a rebuilding project. The physical movement of land to and from a landscaping site takes into account existing buildings and roads around the area. Sloppy excavation can lead to unnecessary additional work on the site. Our excavation services make sure that the minimum amount of land and materials, including existing civil works, is moved properly. We also make sure that no damage is done to adjoining properties and other buildings. During an actual landscaping project, land and other materials are shuttled between an actual site and a staging area. Soil, rocks, gravel and other materials are sent from the staging area to the landscaping site. Alternatively, excess land and soil from the construction area are sent to the staging area for repurposing or disposal. 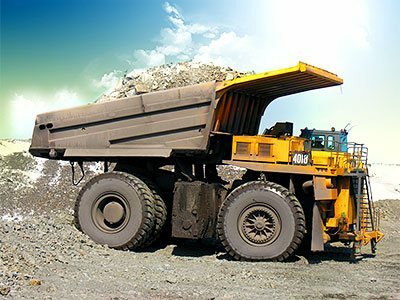 Our excavation and hauling services can assist you in segregating materials as they are shuttled from one end of a project site to the other. This would make life much easier for your project personnel, keeping the landscaping area clean and clear for the developers and the landscapers to do their works properly. At the end of the day, debris has to be cleared. Our hauling group makes it easy for you, and we also ensure compliance with local rules and regulations for trash disposal. 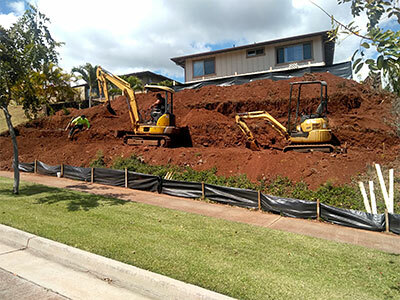 Whether you have a home improvement project or a park's landscaping in Wahiawa or neighboring areas, we can help you keep your neighborhood clean and free from the soil and refuse created by the project. With environmental protection at the top of everyone's list, our company has made a commitment that project cleanup will be taken care of properly, responsibly and by the rules. Land development, real estate development, and landscaping jobs are meant to create beauty and focus for an immediate environment. There is no cause to mess up the place while waiting for the project to finish. In any project, there will be piles of dirt and soil. It is important that the piles of dirt do not get to be a larger pile of dirt and trash. Timely cleanup is a daily task. We can assure you that our hauling service will keep the pile from growing out of control. Our company guarantees an all-in-one solution to all of your landscaping needs from excavation to hauling. Call us today.